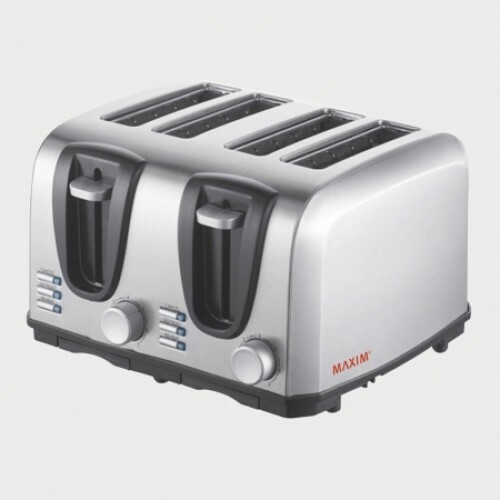 The Maxim Stainless Steel 4 slice toaster is a stylish addition to any kitchen. Stainless Steel finish that will suit most kitchens. 4 super wide slots that fit muffins, turkish bread and much more. 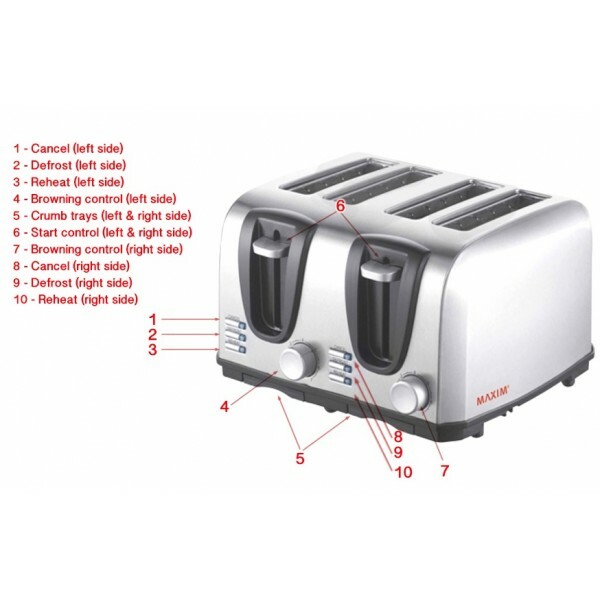 Variable toasting settings per twin slots. 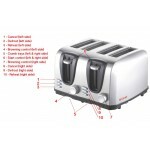 Reheat, defrost and stop controls per twin slots.